Today I am sharing some of my all time favourite nails! I would never normally have done this sort of design on my nails but I actually love it and I loved the challenge of doing them! I don’t have a rightful credit for this mani – I found it on a nail sharing Instagram but it didn’t credit the owner. If you know who’s design it is please let me know! 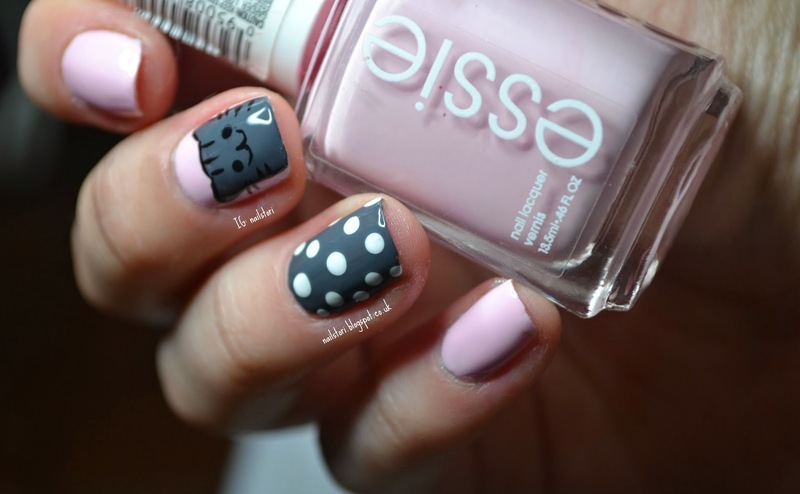 Essie – Fiji, W7 – 29, Nanacoco – love black, Sinful colors – snow me white, Seche Vite – Fast dry top coat. I created this using a dotting tool and a tiny paint brush. The owner of this design did a great tutorial that I found on Instagram which made this design so easy to recreate! I think my cat looks a little out of proportion but I think it’s still cute! Other than that I was pretty happy with how it turned out. I now really want to try a dog version because I’m definitely more of a dog person! Again, it would be really appreciated if you know who created this great design so I can credit them.